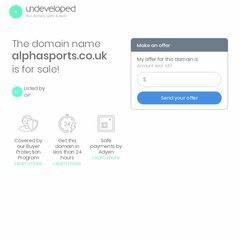 Alphasports is ranked 1,016,206 in the United Kingdom. It has 5 nameservers, including c.ns.zerigo.net, d.ns.zerigo.net, and b.ns.zerigo.net. Its IP Number is 79.170.45.23. It is hosted by Heart Internet Ltd England, using Apache/2 web server. PING www. (79.170.45.23) 56(84) bytes of data.